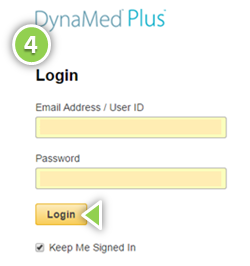 Establish your free DynaMed Plus account as an ACP member with the following steps. 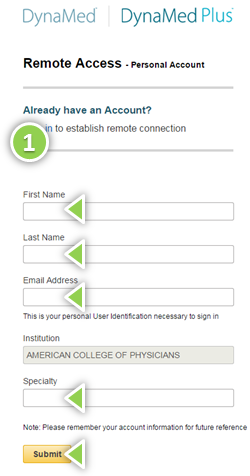 STEP 1: Access DynaMed Plus through our ACP member portal. Once recognized as an ACP Member, you will be prompted to create a DynaMed account. This newly created DynaMed account is what you'll use to log into DynaMed Plus from anywhere, including their mobile app. 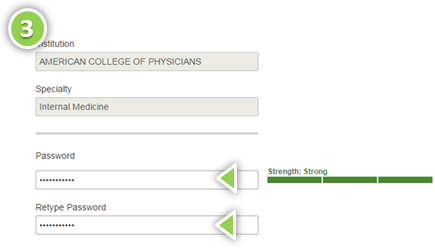 STEP 3: In this form, you will need to create a password that is sufficiently "Strong". Include digits/symbols or make your password longer and more random to create a sufficiently strong password. If you're still having trouble creating a strong enough password, try these tips. STEP 4: Now that you have established your account, you can use this email address as your username and your newly created password to log into DynaMed Plus from any browser at https://auth.dynamed.com/ (feel free to bookmark this page) or from the mobile app. For further assistance, please contact us by email at ACP-DMP@acponline.org.